Check out these Micro Sheet Sets ONLY $41.24 (Retail $146.05). 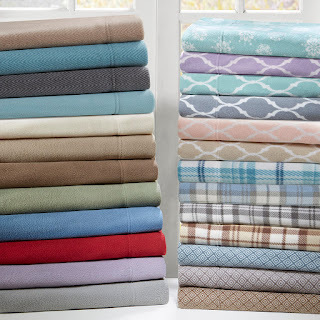 These microfleece sheets are a luxurious and cozy alternative to flannel. They are so soft and warm that you'll want to stay in bed longer than usual. Turn down the thermostat and enjoy your energy savings. Fits up to a 16 inch mattress. Includes 1 Flat Sheet, 1 Fitted Sheet and 2 Pillowcases (or 1 Pillowcase for Twin Sizes). Ends 9/25 or while supplies last.